This is the time of year to look forward to holiday parties, family gatherings and lots of socialization. Tis’ the season to look your best! 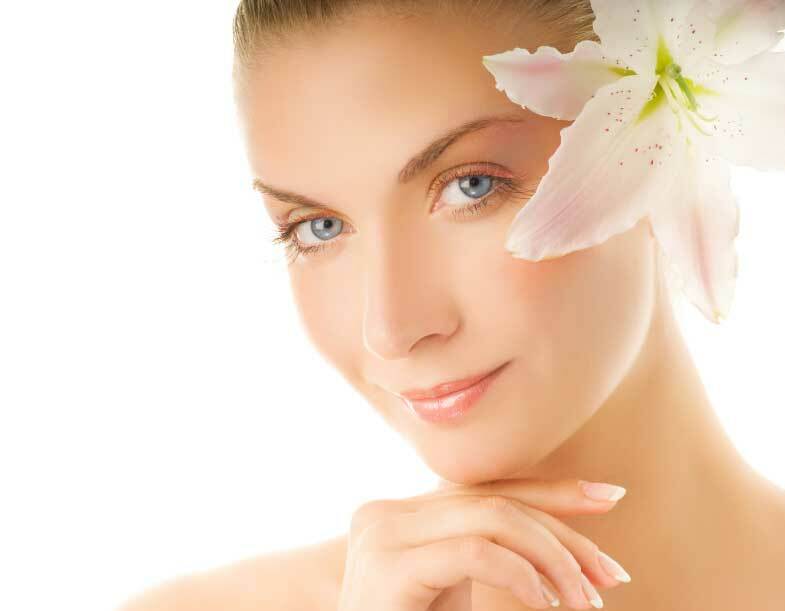 It is a great time to give your skin the special gift of a Hydrafacial procedure. During the month of December get 15% off your Hydrafacial! Get your glow on and look radiant for the holiday festivities! • early aging fine lines and wrinkles. This is a revolutionary skin treatment that gently clears away imperfections and improves the look and feel of your skin. 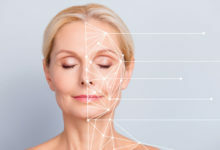 HydraFacial is an advanced non-invasive, non-surgical procedure that quickly and easily delivers results without the use of lasers or harsh chemicals. It combines cleansing, exfoliation, extraction, hydration and antioxidant protection simultaneously, resulting in clearer, more beautiful skin with no discomfort or downtime. HydraFacial targets fine lines and wrinkles, congested and enlarged pores, oily or acne-prone skin, hyperpigmentation and brown spots. The system is a 4 in one treatment. It exfoliates the skins surface, next serums soften the deposits lodged deep within the pores to allow effortless extraction of blackheads, dirt and oils and hydrating of the skin to diminish the signs of aging and an infusion of vitamins and minerals which are absorbed at a much higher rate because the dirt and oil barriers have been removed. The HydraFacial™ sloughs off dead skin cells, removes skin impurities, and simultaneously hydrates new skin cells as they’re exposed. HydraFacials use a tiny, brush-like applicator that comfortably sweeps over facial and neck skin. The device simultaneously suctions up dead skin cells and extracts dirt and sebum, while applying a gentle acid peel and conditioning serums. 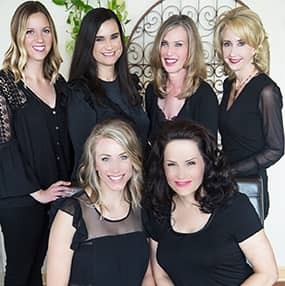 Skin is treated with customizable skin serums during a Hydrafacial procedure, so your skin can get exactly what it needs. Look your best this holiday season and give yourself the special gift of a HydraFacial! There’s no better time, as now through the end of December you’ll receive 15% off your HyraFacial! Get your holiday glow on this season and look absolutely radiant! Give us a call to schedule your HydraFacial today at 763-494-9905! The 2015 Best of Maple Grove survey is here! It’s that time of year to vote for your favorites. We are proud to say we won the best Medspa/Rejuvenation category last year and we hoping to keep our number one position again this year. Please note the polls close on November 15th! Thanks in advance for voting. We appreciate your support! What is The Best of Maple Grove 2015? It is your chance to vote for your favorite shops, restaurants, people, hot spots and more. 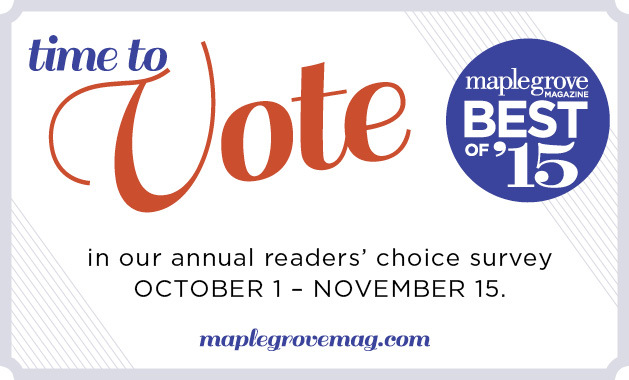 By popular demand, they will also be printing the results of the annual readers’ choice survey in a special edition of Maple Grove Magazine, and they’ll need your help to fill it with the best Maple Grove has to offer. Take a look at this year’s voting rules and guidelines and the full list of categories. This year’s rules are slightly different, so please read carefully. 2. One entry allowed per person; each survey must include a first and last name and contact information. We do check the IP addresses of submitted surveys to eliminate unacceptable surveys. Only one survey is allowed per IP address. 3. Surveys must be entered by 5:00 p.m. on November 15, 2014. 4. Voters must fill in at least 10 categories to have their survey counted. 5. Voters may not vote for the same establishment in more than three categories. *Please note that all nominations must be located within the Maple Grove community. Thank you in advance for your support! We are truly honored by your vote! Have a scar that always bothers you? Improve the look of embarrassing acne scars and other scars when you allow DermaPen to “fill them in” with new collagen. You see, when the head containing several tiny needles, stamps over your skin it causes micro-injuries to the epidermis, which signals the body to produce collagen to remodel the damaged area. This results in firmer skin, a slight improvement in some wrinkles and a very noticeable difference in areas that have been affected by a scar. Another benefit to the DermaPen treatment is that it helps in the absorption of your products while the epidermis is healing. So, whatever your skincare needs are, your products will start working even better because they will be allowed to penetrate deeper into your skin layers for enhanced delivery of nutrients and moisturizers. Customizable treatment options are a fantastic perk to this treatment. The tiniest of micro needles are used to treat minor surface flaws, while slightly larger needles (still tiny) are used for deeper scars. The number of passes of the pen will vary depending on the condition of your skin, also, so the treatment can be customized to your needs.